Located in Iowa City, Iowa, the Foster Law Office is a full-service law firm with two attorneys who represent college students charged with drug crimes and other criminal defense matters. Attorney Davis Foster has been an attorney since 1981, and he was recently joined at Foster Law Office by his son Christopher Foster. Together, they represent clients with a variety of litigation needs, including criminal defense, personal injury litigation for the plaintiff or injured party, family law, including divorce and child custody issues, and immigration law for college students or workers seeking to extend visas or obtain citizenship. As a law firm located near a number of universities and college campuses, our lawyers have on many occasions represented college students charged with drug crimes, DUIs or assault, disorderly conduct or other misdemeanors or felonies. Students from Illinois or other states rely on our law firm to communicate effectively and frequently to their families and out-of-state parents, always with the college student's permission. We believe in vigorous criminal defense that provides our clients with multiple options so they can select the course of action that is best suited for them. At our Iowa City law firm, we help put our clients back in control of their life. Foster Law Office is a general practice law firm with four key areas of practice: criminal defense, family law, personal injury and immigration law. Foster Law Office handles college student crimes, drug crimes, OUI and other misdemeanors and felonies. 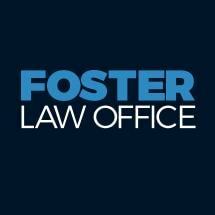 Foster Law Office represents the plaintiff, or injured party, in personal injury litigation. Our law office represents individuals during divorce proceedings, including child custody determinations and disputes. Our law office represents students and workers who need visas or who are seeking either permanent residency or eventual US citizenship.